Buster boat ride - could it get better! 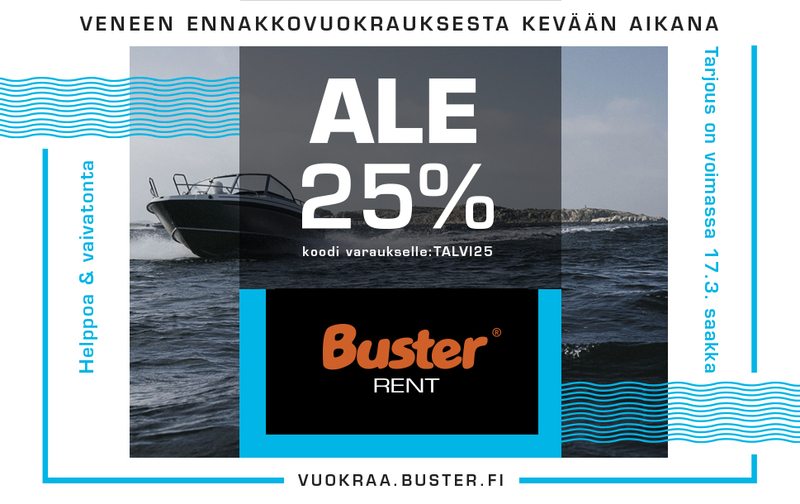 Rent a Buster boat - it's quick and easy. Start your journey from one of our rental home bases. We also deliver boats to your preferred location. For those who have basic knowledge about handling and driving a boat. What kind of Buster suits you the best? Look up our rental prices and contact us. Your rental Buster journey starts from here! Our home basis are in Raisio, Turku and Helsinki. We deliver boats to your preferred location, ready to go in water or on a trailer. Trailer cost is included in the boat rental. Trailer deliveries can be discussed by the case. So simple, quick and easy. Start your boat rental from here.